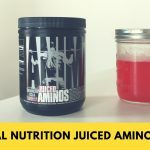 Home » Universal Nutrition Animal Juiced Aminos Review – Pros and Potential Cons? 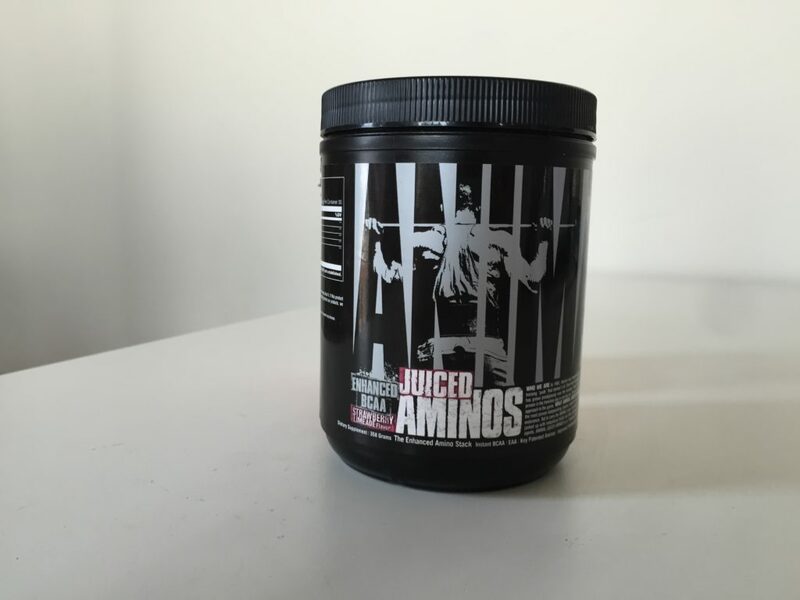 Universal Nutrition Animal Juiced Aminos Review – Pros and Potential Cons? Universal Nutrition is a New Jersey-based supplement company that’s been in the business for about forty years, and Animal is one of their brands that was “born from the needs and desires of pro bodybuilders.” They’re probably best known for their multivitamin called “Animal Pak,” but they also sell muscle volumizers, mass gainers, and a lot of other products that are dedicated to better body composition. 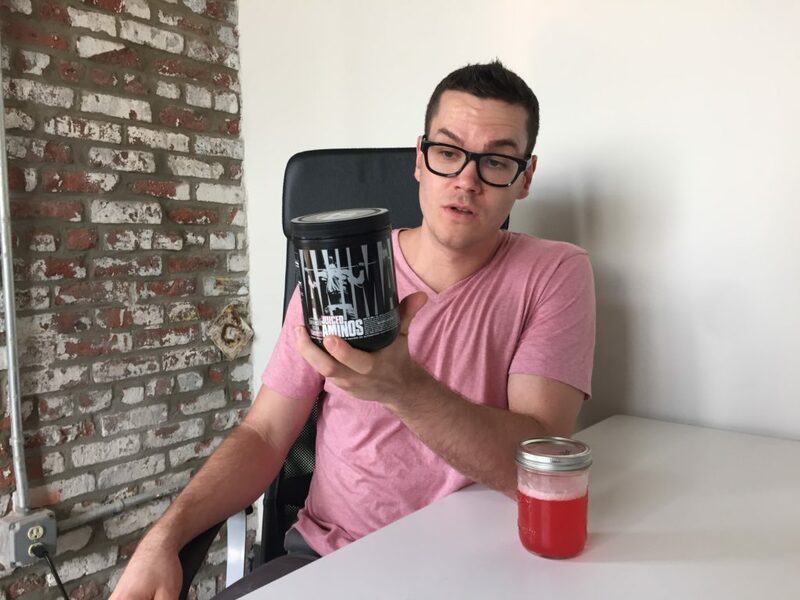 Juiced Aminos is their branch chain amino acid supplement, and Animal decided that they “couldn’t just settle for any old amino formula.” They wanted their product to be “an enhanced take on a trusted lifting supplement.” So what do they bring to the table? Shop Universal Nutrition Juiced Aminos here. There’s no calorie information, but in one 12-gram serving of Juiced Aminos you’ll get 6 grams of amino acids. That’s not just the BCAAs themselves, mind you. The amino acids include a 2:1:1 ratio of the BCAAs leucine, isoleucine, and valine as well as lysine, arginine, methionine, phenylalanine, threonine, and histidine. Note that these are proprietary blends, so we don’t know how much of each ingredient the product contains. Then there’s the “Juiced AA Performance Blend” that has patented versions of amino acids: AgmaPure™ (a king of agmatine), Sustamine™ (a type of glutamine), and GlycoCarn® and ArginoCarn®, forms of carnitine. The rest of the ingredients are just for flavoring: citric acid, malic acid, sucralose (also called Splenda®), and acesulfame potassium, an artificial sweetener. There’s also red food dye (we tried the Strawberry Limeade flavor) but it’s worth noting there are no anti-caking agents (like calcium silicate) or lecithin for mixability. This results in a powder that looks a little clumpy, but still mixes pretty well because the amino acids are instantized. So what do these ingredients do? Again, we don’t know the doses. The BCAAs themselves (that’s leucine, isoleucine, and valine) have been linked to muscle retention, focus, and endurance. The other amino acids in the “BCAA & EAA Matrix”? They’re more of a mixed bag. For example, the methionine may help with bone density and the threonine may help with protein synthesis. Then there’s the “Juiced AA Performance Blend.” It contains taurine, which can help reduce muscle cramps and draw water into muscle cells; citrulline malate, which may improve circulation; and AgmaPure (that’s agmatine sulfate), which may enhance blood flow and provide a “pump” during a workout. The carnitine blend, meanwhile, may boost nitric oxide and improve alertness and blood flow. The issue, again, is that we don’t know the dosage. For acute, workout-boosting effects, citrulline malate usually is generally recommended at five or so grams. Here, it’s one of seven ingredients in a 4-gram blend, so while it may contribute to overall circulatory health, it may not be effective as a pre-workout. Given where they’re situated in the 4-gram blend, there’s probably an effective dose of the other ingredients, but I’d rather know for sure. You can pick up a tub of 30 servings for $25, which comes out to 83 cents per serving. That’s also 14 cents per gram of BCAAs, which is very cheap for a supplement with this many additional ingredients. I tried the Strawberry Limeade flavor, which was tasty. It’s a lot heavier on the lime than the strawberry, which is to be expected of a BCAA supplement. (BCAAs are pretty sour in their natural state, which is why they’re so often mixed with sweet-and-sour flavors.) I’d recommend mixing it with two cups of water if you’re not a fan of sour flavoring. Animal’s Juiced Aminos has a lot going for it. It’s very cheap, there’s no soy, and it probably has an effective dose of many of its ingredients, particularly taurine, carnitine, and agmatine. I’m not as convinced of the benefits of the citrulline and the glutamine and the non-branch chain amino acids, especially in such small amounts, but the supplement is so inexpensive and has so many ingredients that do have promising research behind them that it almost doesn’t matter. So, I think the good wins out in Juiced Aminos. I just wish they had been willing to disclose the dosage of each ingredient so we could be more certain.